Case notifications communicate a change in status or an event, such as an expired service-level agreement, to users in your application. You can use notifications to call attention to cases that require action and help users resolve cases faster. You can enable email or push notifications for assignments in a case type based on the events that you track in your application. 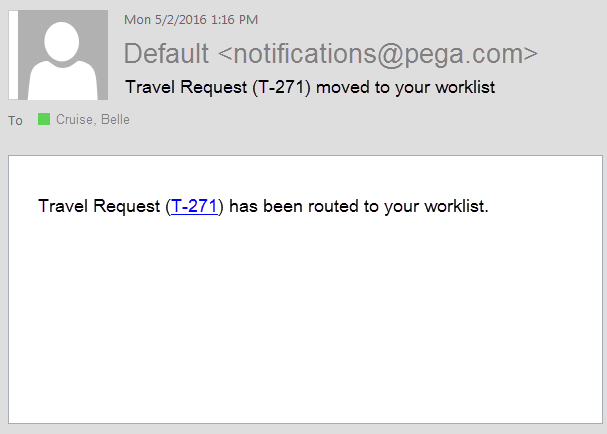 You can also customize the title and body of email notifications when you have access to Designer Studio. 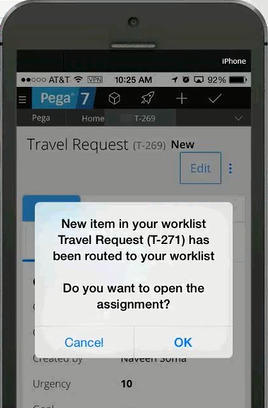 At run time, notifications include a link to open an assignment in a case so that users do not need to find the relevant item in their worklist. By default, assignments inherit the notification policy that is defined by the case type. 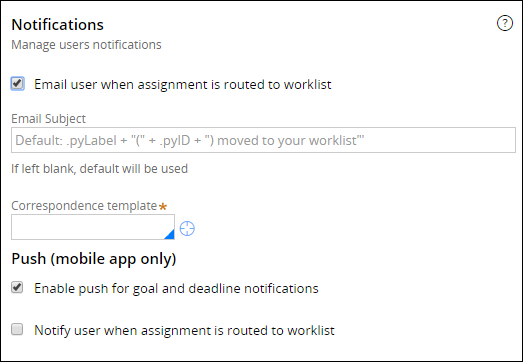 You can override this notification policy by providing a custom notification activity or by disabling notifications for individual assignments.